Today when I was shopping around in a fun little gift shop, Obelisk, I saw some beautiful tortoiseshell glassware! 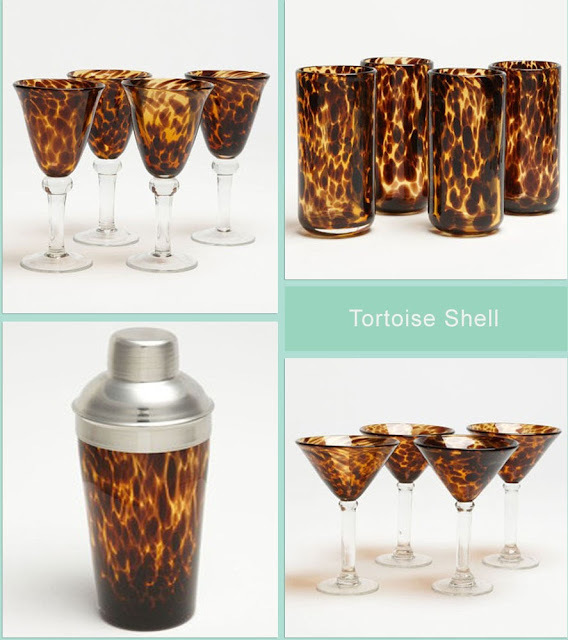 I haven’t seen tortoiseshell wine and drinking glasses before and absolutely fell in love with them! Whenever I hear tortoiseshell I automatically think of sunglasses or a headband, but tortoiseshell glassware looks simply fabulous! These glasses would look great in the summer to use at an intimate dinner party paired with some light blue or mint green or even white plates. 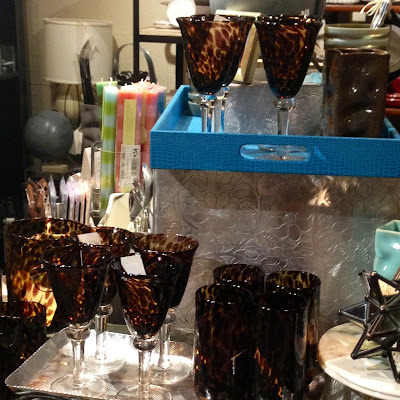 These tortoiseshell drinking glasses would also be perfect for the fall to serve drinks in while sitting on a porch relaxing next to a fire. Here are some gorgeous tortoiseshell glasses that I have found online; for the link to the website just click on the name of the glass located at the bottom of the image below. I thought that this glassware is made with the shell of tortoise. Anyway, the design is pretty impressive and I would love to include this in my collection. 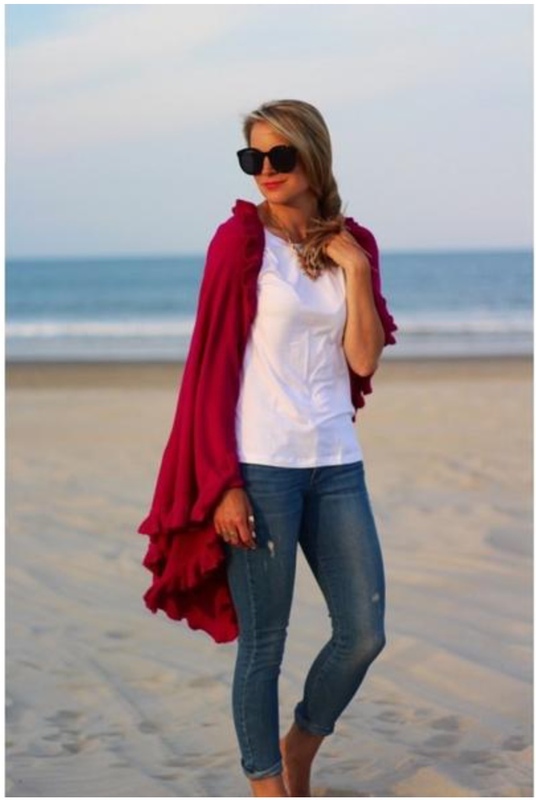 I love these glasses, I just think they are so beautiful! I saw them at a store called Obelisk.